Should Islamist radicals be segregated in prison? All radicals, or only those convicted of terror crimes? What to do with Islamist prisoners? Should they be segregated, in which case they may further radicalize each other; or diffused, in which case they may radicalize other prisoners – as happened with the Charlie Hebdo-Hyper Cacher jihadis? Currently, France and the United Kingdom are grappling with this issue. By contrast, the UK prisons are reportedly considering segregating only those convicted of Islamist terror offenses. 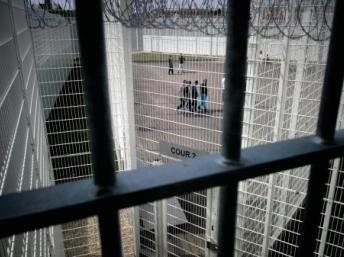 The UK has identified roughly 1,000 prisoners "at risk" of extremist radicalization. The article offers no information about the means by which the UK prisons have identified at-risk prisoners. The goal of segregating the convicts would be to protect the at-risk individuals. The article contains no information about whether segregating convicted terrorists would leave potential radicalizers, who have not themselves been convicted of terrorist crimes, among at-risk prisoners. Unfortunately, neither prison system seems to have devised a credible de-radicalization program. Reportedly, the UK is currently trying to develop such a program. Concentrating radical prisoners makes it less likely de-radicalization would work. It probably goes without saying that in seeking first to do no harm, to paraphrase the Hippocratic oath, prisons should not ask Islamistorganizations to vet their Muslim chaplains, as the United States Bureau of Prisons has been doing. One criticism: the article about the French scene continues to mouth the platitude that poverty causes radicalization. For example: "Many of France's Muslim prisoners are disadvantaged and disaffected young men from communities blighted by poverty and unemployment." Compare that to the conclusions of a New Yorker article on the subject from last summer, "the profiles of French jihadists don't track closely with class; many have come from bourgeois families."